PicoSure provides breakthrough technology to revitalize your skin and remove unwanted pigment. PicoSure gently delivers short bursts of energy to target and eliminate the pigment without causing harm to the surrounding skin. This innovative technology makes skin visibly clearer, with fewer treatments, and no downtime! Book your consultation with Dr. Simon to ask about the PicoSure laser treatment and see if it’s right for you! 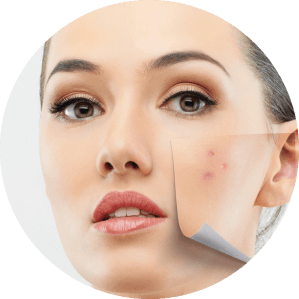 PicoSure laser focuses on your problem areas whether it’s brown spots, sun damage, freckles, pigmented lesions or acne scars. PicoSure offers a gentler treatment. 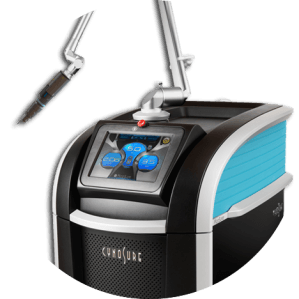 In the past, lasers have relied on intense heat energy to remove pigment from the skin, which may be painful and lead to significant skin redness and downtime. 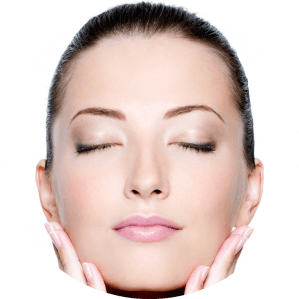 How does the PicoSure procedure work? It’s important to consider your options. Face-lifts, fillers, and toxins are associated with significant downtime, risks, and side-effects. Patients often consider these treatments a “last resort.” The first step to achieving a more youthful appearance, or just tweaking some trouble-spots may be a PicoSure laser treatment. The procedure takes about one hour and is performed in your doctor’s office. After the procedure. There’s no recovery time needed. You’re ready to get on with your day! Q:Why is skin revitalization best for removing age spots and sun damage? Q:How does skin revitalization work? Skin revitalization treats age spots and sun damage by using an optimized light device to deliver light energy to your skin which is selectively absorbed by the unwanted pigment and then cleared away by your body. Q:What types of pigment can be treated? Skin revitalization is appropriate for treating age spots, sun damage, and freckles on the face, neck, chest, arms, hands, legs, and feet. Q:Am I a good candidate for this procedure? Skin revitalization works on a variety of skin types. Contact a provider to find out if you are a good candidate for this treatment. Q:What kinds of results can I expect?